I would like to build a circuit to control 4 LEDs via an inducted current. I would like the inducted current to provide the power for the LEDs, however I would like the LEDs to be lit in a certain arrangement depending on the current. That is I would like a certain signal to correspond to a a portion of the LEDs to be lit at a certain intensity. I would like to have relatively high granularity to control each LED (at least on a percentage level / 0-100 with steps of 1). 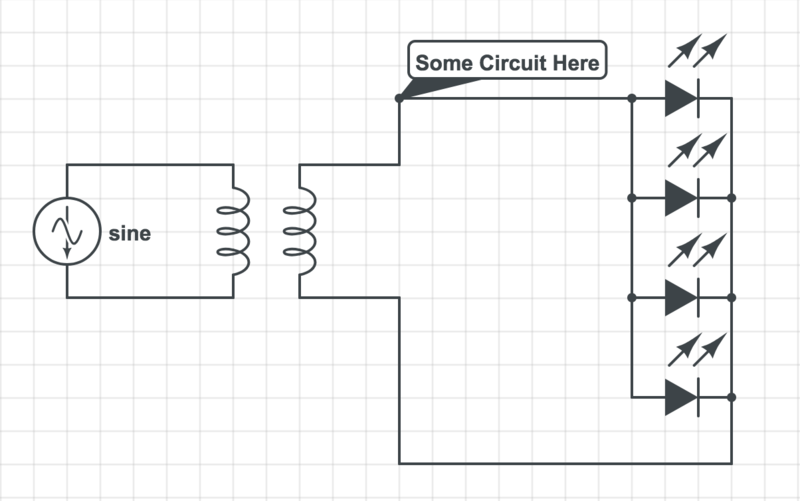 What is the simplest circuit I could use to do this from primitive parts (gates, diodes, capacitors, etc...) not ICs or anything complex? Any suggestions would be highly appreciated. Browse other questions tagged led remote-control induction or ask your own question. CXA1512 LED CC/CV driver design? Dimming multiple LED panels without PWM to LEDs; modified DMX control or something else?